This is a summary of recent changes and additions to this website, with links to more details further down the page or elsewhere on the site. 15th March 2019 The Havant Orchestras Newsletter for March 2019 is now available, including additional information about the HSO concert at Oaklands School, Waterlooville, on Saturday 23rd March. 15th March 2019 Now that the celebration concert is over, we felt that a good way to ensure Peter Craddock’s name continues to be associated with the orchestras was to create the Peter Craddock Memorial Fund to contain the donations that enable the orchestras to develop and flourish. See our new Supporting page for details. 27th February 2019 Players please note that further details about the rehearsals for the Peter Craddock celebration concert (including approximate times for each work) are now available in the Additional information section on the Rehearsals page. 2nd February 2019 The Havant Orchestras Newsletter for February 2019 is now available, including additional information about the HCO concert at Ferneham Hall, Fareham, on Saturday 9th February. 27th January 2019 HSO players please note that the rehearsal on Friday February 1st is for the Peter Craddock Celebration concert, and that there is a normal HSO rehearsal on Friday February 8th (even though that is the day before an HCO concert). See the HSO rehearsal information on the Rehearsals page for more details. 15th December 2018 HSO players please note: there will now be a rehearsal on Friday 11th January at Hayling Island Community Centre (because St Faith's is unavailable). There are also some other changes to the rehearsal schedule. See the HSO rehearsal information on the Rehearsals page for more details. 23rd November 2018 The Havant Orchestras Newsletter for December 2018 is now available, including additional information about the HSO concert at Oaklands School, Waterlooville, on Saturday 1st December. 6th November 2018 We now have a Havant Orchestras blog! You can use the "Blogger" link on the Welcome page to visit the blog or sign up to the blog to receive automatic updates by email. 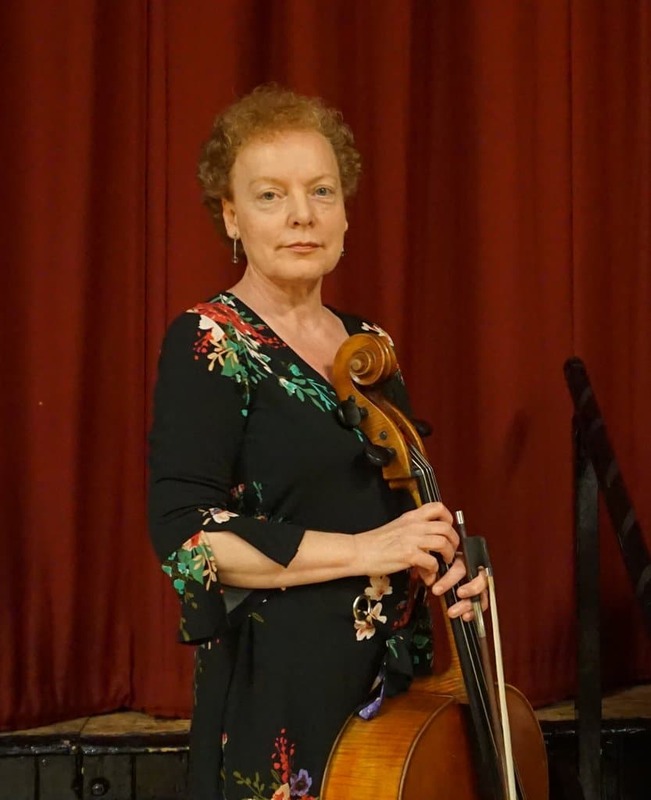 Stella Scott has written an article about the Pallant Hall service last Sunday, for which the Havant Orchestras provided a string quartet to play along with the hymns. The blog is running on Google's Blogger service, at https://havantorchestras.blogspot.com/. New articles can be created by the Havant Orchestras authors, but anyone with a Google account can currently add comments. There will be a special afternoon concert by the combined Havant Orchestras on Sunday 3rd March 2019, 2.30pm, at Oaklands School, to celebrate our memories of our founder and outstanding musical director for 50 years, Peter Craddock, BEM, who passed away in 2017. The concert will include the Brahms Double Concerto for Violin and Cello, with local star cellist Richard Harwood who will be joined by distinguished violinist Duncan Riddell. More details can be found on the programme page. Further information about ticket prices and how to obtain tickets will be added soon. Current and former members of HSO and HCO are being invited to join in the performance, and others who knew or worked with Peter are also being invited to attend the concert as guests. The rehearsal schedule is shown on the Rehearsals page in the public part of the Members section. 5th October 2018 The Havant Orchestras Newsletter for October 2018 is now available, including additional information about the HCO concert at Ferneham Hall, Fareham, on Saturday 13th October. 27th July 2018 We now have a biography page with more information about our new bursary student conductor Stefano Boccacci. The works which he will be conducting in each HSO concert are now indicated on the relevant concert pages. 16th July 2018 We are delighted to announce that the Bob Harding Bursary for Young Conductors for the 2018-19 season has been awarded to Stefano Boccacci, nominated by the Royal Welsh College of Music and Drama. We enjoyed his audition rehearsal immensely and look forward to working with him during the season. Further information about Stefano and the works he will be conducting will be added to our website soon. 29th June 2018 The Havant Orchestras Newsletter for July 2018 is now available, including additional information about the HSO concert at Oaklands School, Waterlooville, on Saturday 7th July, and Stella's thoughts on her recent trip to Berlin. 11th May 2018 Stella Scott, Havant Orchestras principal cello (and HADOS administrator), will not be at the HCO concert on 19th May, for an excellent reason! Stella will be rehearsing for a concert conducted by Sir Simon Rattle in Berlin, having successfully auditioned to join an international amateur orchestra called the BE PHIL orchestra for a performance of Brahms’ Symphony No. 1 on 21st May as part of an Open Day arranged by the Berlin Philharmonic. Stuart Reed has written an article	about this event for Music In Portsmouth. 11th May 2018 2018-19 season announced! Full details of the Havant Orchestras concert programme for the 2018/19 season are now available on this website, together with information about booking season tickets. As there are still more concerts in the current season, the main Concerts and Tickets navigation buttons at the top of page will still take you to the current season’s details for now, but you can then select the button on the right for next season's details. Printed brochures and season ticket forms will be available at concerts, and supplies of brochures will also be made available in the Ferneham Hall foyer and via other locations such as local libraries and information centres. In addition to the main concerts, there is also our usual ‘Popular Classics’ concert by Havant Symphony Orchestra at Hayling Island Community Centre on 22nd September 2018. 11th May 2018 The Havant Orchestras Newsletter for May 2018 is now available, including additional information about the HCO concert with Rose Hsien at Ferneham Hall, Fareham, on Saturday 19th May. 10th March 2018 The Havant Orchestras Newsletter for March 2018 is now available, including additional information about the HSO concert at Oaklands School, Waterlooville, on Saturday 17th March. 2nd March 2018 The HSO rehearsal today, Friday 2nd March, is cancelled because of the snow. We are hoping to contact everyone involved by email, text or phone. 24th February 2018 The Portsmouth News recently published an article about local orchestras (including the Havant Orchestras) as the main story in its Weekend Magazine: Classical music is Bach in fashion as orchestras grow. The article includes discussion with Stella Scott (Havant Orchestras administrator and HSO/HCO principal cello) and input from Stuart Reed (HSO violin). 27th January 2018 The Havant Orchestras Newsletter for February 2018 is now available, including additional information about the HCO concert at Ferneham Hall, Fareham, on Saturday 3rd February.